Maritime Centre’s Piers Get Face Lift! As good as new; Earl Kent works his way down the pier with the pressure washer. Taking off the horrible old mildew and moss! 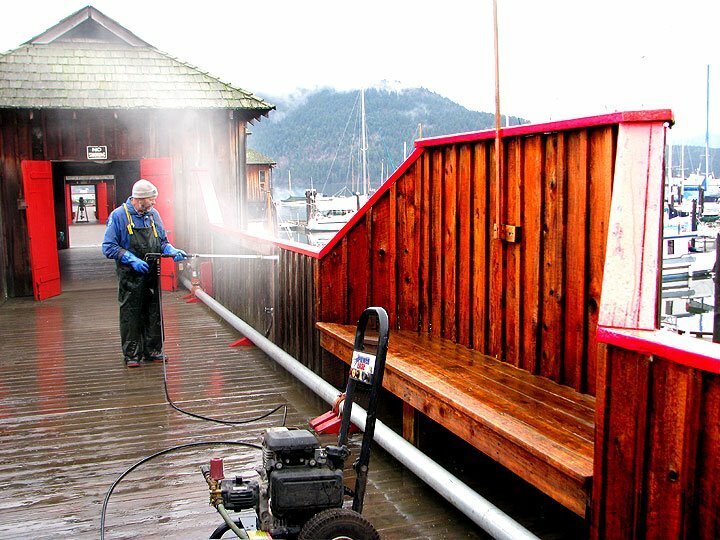 Earl Kent, still at it with the pressure washer, has singlehandedly transformed the pier walkway benches and pickets into like new condition. Earl is a new volunteer at the Center and has undertaken many jobs with wonderful vigor! In Earl’s spare time he is a volunteer dog walker with the SPCA in Duncan.